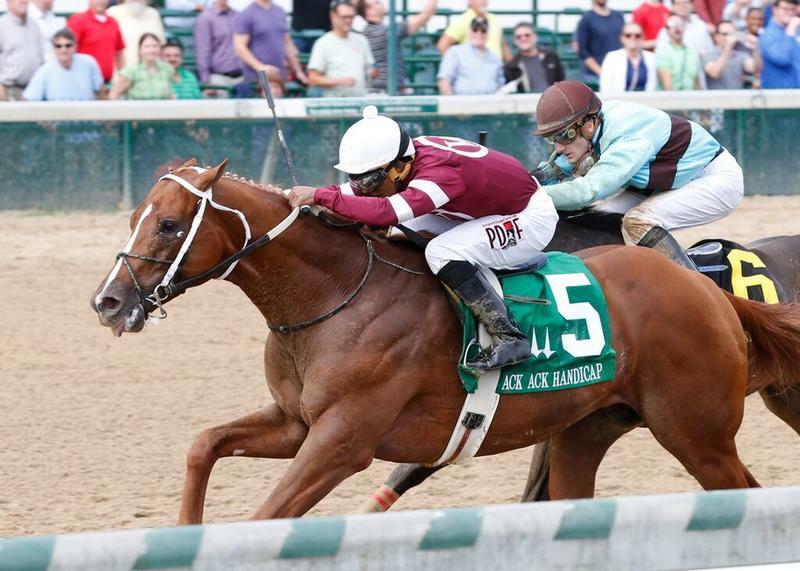 Ricardo Santana Jr. guided Tapiture to victory in Saturday's $100,000 Ack Ack (GIII). 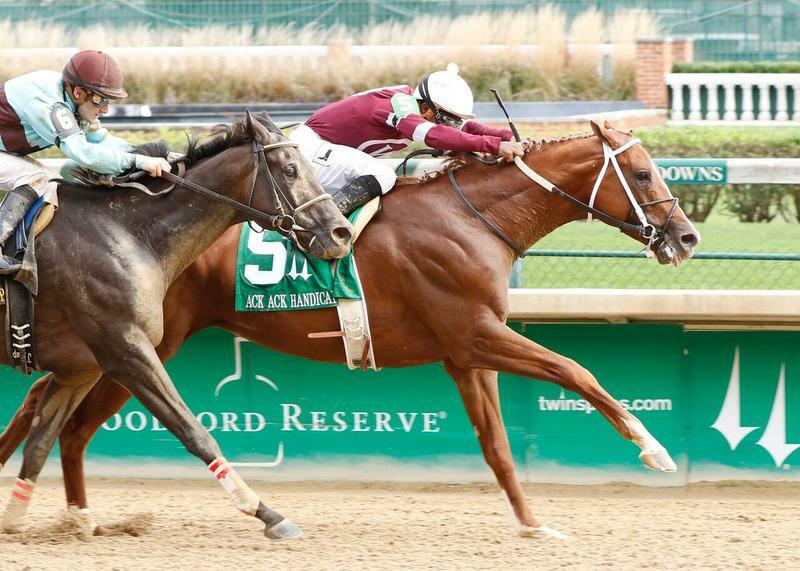 Winchell Thoroughbreds’ reigning Breeders’ Cup Dirt Mile runner-up Tapiture grabbed the lead at the top of the stretch and determinedly repelled a challenge from fast-closing even-money favorite Viva Majorca to win Saturday’s 23rd running of the $100,000 Ack Ack Handicap (Grade III) at Churchill Downs by a half-length. Tapiture, trained by Steve Asmussen and ridden by Ricardo Santana Jr. while toting the 118-pound starting high weight, ran one mile on a fast track in 1:35.39. Longshot Roman Unbridled led the field of seven older horses through fractions of :23.10 and 46.75 with Tapiture tracking from fourth in the clear on the outside and Viva Majorca another length behind. Tapiture ranged into contention on the turn, grabbed the lead with a quarter mile to run and held off a hard-charging Viva Majorca to prevail in a drive. The first prize was $60,760 and hiked Tapiture’s bankroll to $1,536,820 with a record of 17-5-4-4. The victory was snapped a six-race losing streak. It was his first victory since the $750,000 West Virginia Derby (GII) at Mountaineer in August 2014. 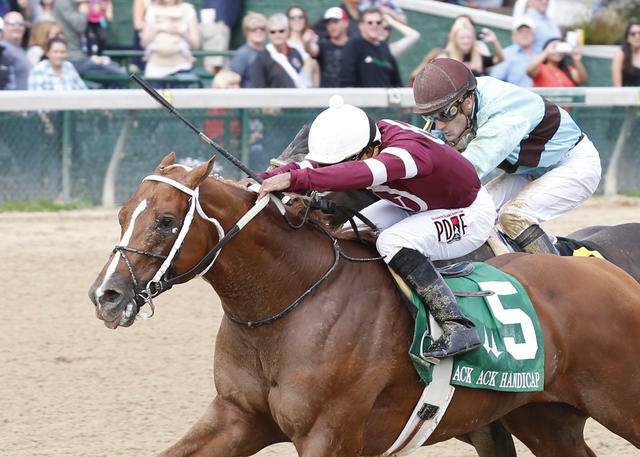 Tapiture, now a five-time graded stakes winner, returned $7.40, $3 and $2.80 as the 5-2 second betting choice. Viva Majorca, ridden by Julien Leparoux (116 pounds), paid $2.40 and $2.40. Hat of Jacks, a 32-1 outsider with Francisco Torres aboard (114), was another four lengths back in third and paid $5.80. Midnight Cello (117), Den’s Legacy (117), Agent Di Nozzo (117) and Roman Unbridled (115) completed the order of finish. Tapiture is a 4-year-old homebred son of Tapit out of the Olympio mare Free Spin and was bred in Kentucky. This was Asmussen’s second win in the race. He captured the 2008 Ack Ack Handicap with Magna Graduate. The Ack Ack Handicap honors the 1971 Horse of the Year Ack Ack, who won the 1969 Derby Trial at Churchill Downs in 1:34.40 which was a track record for one mile that has since been eclipsed. 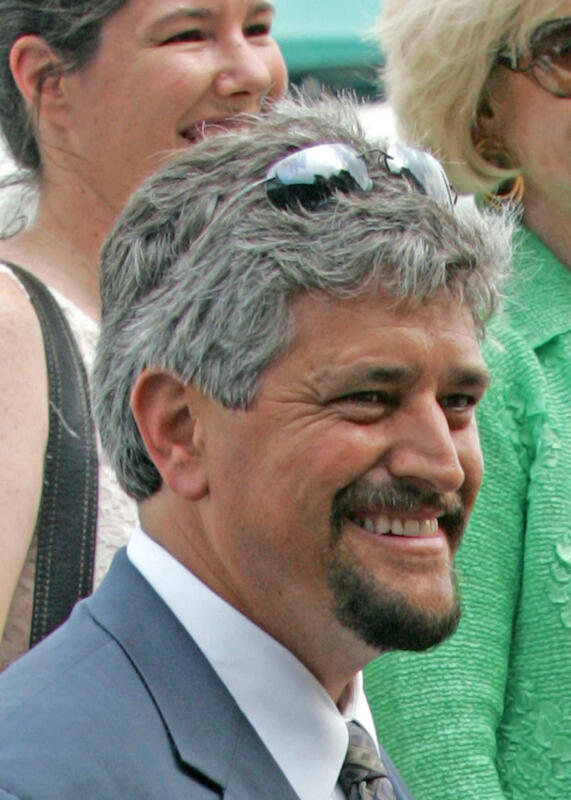 STEVE ASMUSSEN, trainer of TAPITURE (winner): “Nothing went well at Oaklawn with the weather early this year. I thought he hit a couple of tracks that were extremely laboring in his first races of the year. It got him a little flat, and then I thought the key to the race today was him getting away cleanly and not having to chase the spot. “He was away from the gates nice and smooth today and was in Ricardo [Santana’s] hand the whole time. I was a little concerned with how soon he got to the lead because he did get a pretty good little break since his last race, but he showed some quality late to hold off Viva Majorca. He’s a nice horse.